A University of Otago researcher is part of an international team of scientists that has discovered how legumes, which include important agricultural species such as white clover, are able to tell helpful and harmful invading bacteria apart. Their study, which changes the understanding of carbohydrates as signal molecules, is newly published in the leading international journal Nature. 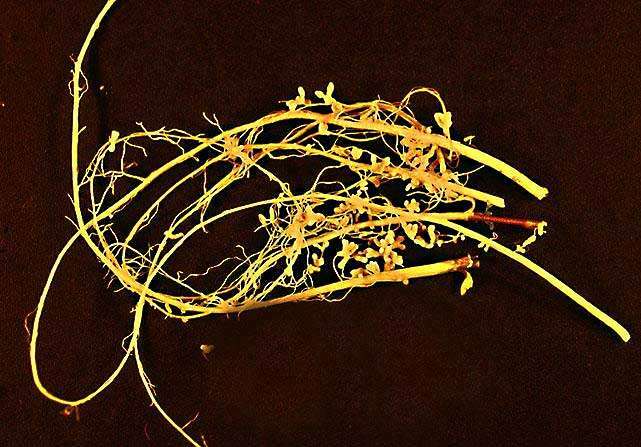 The research has implications for improving the understanding of how other plant and animal species interact with bacteria in their environment and defend themselves against hostile infections. Now Otago's Professor Clive Ronson and colleagues in a research team led by Professor Jens Stougaard in Denmark at the Centre for Carbohydrate Recognition and Signalling (CARB) have determined how legumes perceive and distinguish compatible bacteria based on the exopolysaccharides featuring on the invading cells' surfaces. Professor Ronson says that exopolysaccharides, along with other carbohydrates, are found on the cell surfaces of all organisms. "Bacteria display a wide selection of polysaccharides, and many of these are important for cell-to-cell interactions, immune evasion, pathogenesis, biofilm formation and colonisation of ecological niches," he says. Using an interdisciplinary approach involving plant and microbial genetics, biochemistry and carbohydrate chemistry, the CARB researchers have identified the first known exopolysaccharide receptor gene, called Epr3. They found that a membrane-bound receptor kinase (a type of enzyme) encoded by the Epr3 gene binds directly with exopolysaccharides and regulates beneficial bacteria's passage through the plant's epidermal cell layer. "Now that we have identified this key mechanism that allows a host organism to distinguish friendly bacteria from those that cause disease, this opens up exciting new research avenues across a number of fields," says Professor Ronson. Microbiome studies in plants, animals and humans are some of the areas that will benefit from the new discovery. The mechanism governing microbiota colonisation of hosts is poorly understood and the identification of an exopolysaccharide receptor is likely to inspire new approaches to understand the interaction between multicellular organisms and microbes, he says.